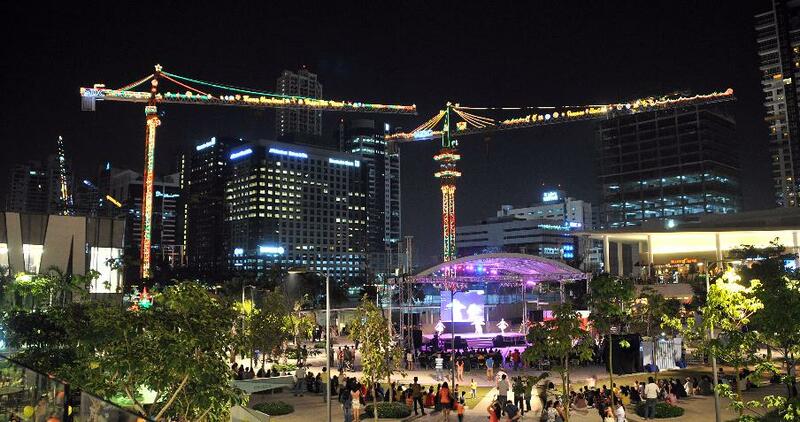 Christmas is merrier with hi-tech entertainment, smart comedy acts, colorful skyline, and world-class performances.” The season began immediately after the BGC Passionfest 2012 weekend with the opening of the Symphony of Lights. * Symphony of Lights – A Christmas lights design contest among participating locators presently constructing their establishments in BGC. With much creativity and technical detail, they have decorated their construction tower cranes and overhead street protection around BGC with multi-colored lights in Christmas motif – like leaping reindeers, blue angels, star lanterns, buntings, and Christmas greetings. This project draws attention to the fact that BGC is in the thick of property boom in Metro Manila. Awarding of the winners is on December 15. * BGC’s Augmented-Reality Christmas treat - How would you like to see yourself in a video play -- dance with Santa, hula hoop with Mrs. Claus, or challenge Santa’s elves to a snowball fight? You could do all that in BGC’s Augmented-Reality Christmas treat. 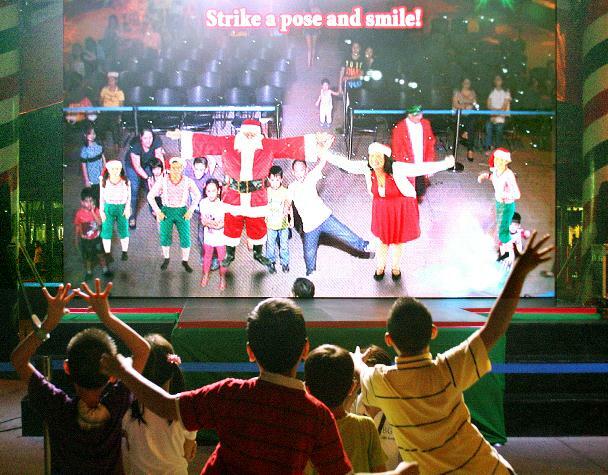 Be both merry and amazed as you see yourself interact with Christmas characters in a 9ft x 15ft LED screen, using technology that brings computer-generated graphics into real-world environment. * SPIT or Silly People’s Improv Theater - What is Christmas without laughter? Every Saturday this December until the 22nd, SPIT, or Silly People’s Improv Theater, entertains BGC residents and visitors with their impressive, spontaneous comedy shows. For 10 years now, SPIT has been making people laugh with their unscripted, tasteful, and hilarious antics and punchlines. SPIT free performances are in BHS where the Augmented Reality treat are being held. * Simbang Gabi - Completing the Christmas season in BGC is the anticipated “Simbang Gabi.” This will be celebrated in BHS every 7PM beginning December 15, 2012.